This summer I planned to take my daughter on her first camping trip. As is often the case, end-of-school parties turned into back-to-school planning in the blink of an eye and we never made it camping. Really, where does the time go?! However, just because we didn't find time for our camping trip didn't mean we had to miss out on making ooey, gooey, delicious s'mores. We invited some friends over and enjoyed s'mores on the grill in the comfort of our own backyard. Prepare the grill over indirect medium heat (400-450 F). 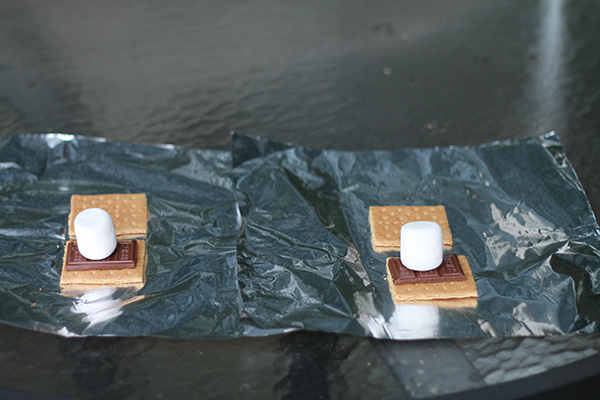 While the grill preheats, assemble the s'mores packets. For each s'more, top one graham cracker square with 1-2 squares of choloate, one marshmallow, and another graham cracker square to make a little s'more sandwich. Place each sandwich on a sheet of tin foil and gently wrap each packet. 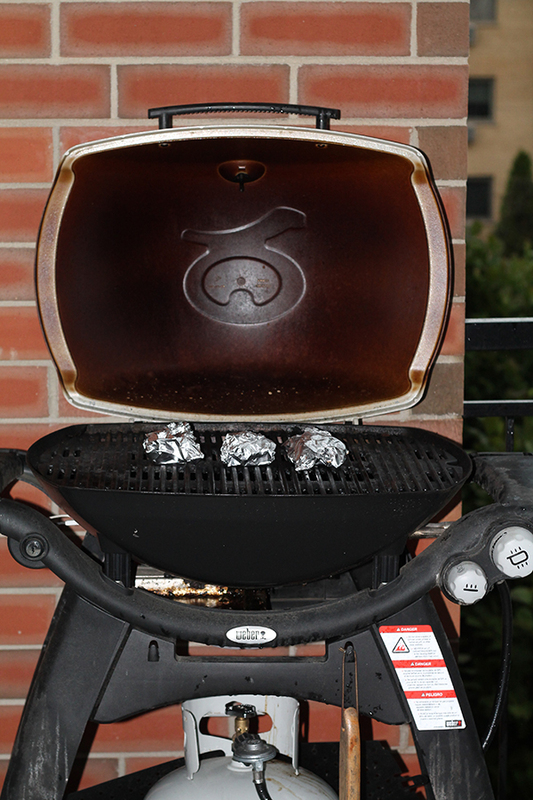 Place the packets on the grill over indirect heat, close the lid and let cook for 4-5 minutes, flipping once. 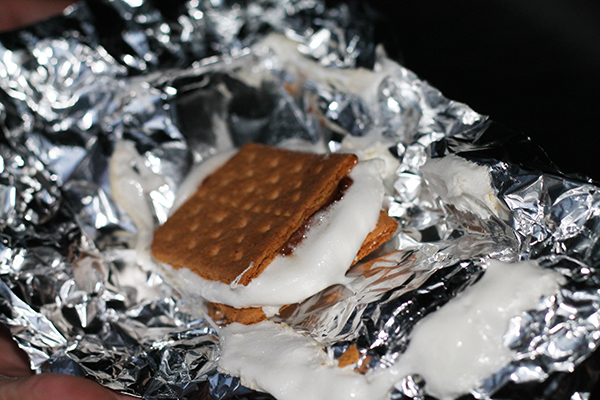 Use tongs to remove the s'mores packets from the grill and carefully unwrap the foil. Allow each s'more to cool a little bit before taking a bite. My 7-year old daughter informed me that I was a little stingy on the amount of chocolate I used so, by all means, feel free to add more to suit your taste!